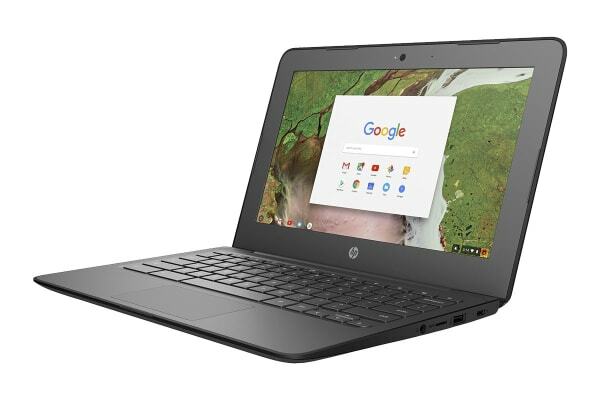 Empower students to create, collaborate and learn with the HP 11.6” HD ChromeBook 11 G6 Education. 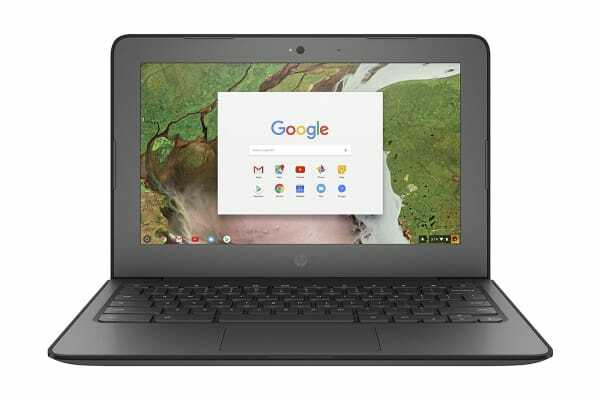 Built with a secure and intuitive Chrome OS, it enables access to thousands of educational Android apps and has universal USB-C connectivity. Collaborate easily with a HD and 180deg hinge that lies completely flat for engaging group discussions! 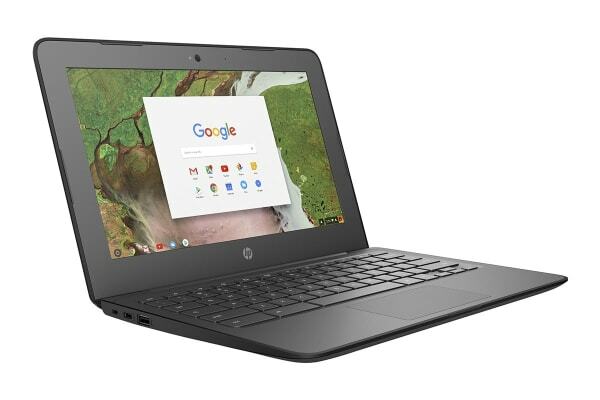 Stay connected in large spaces with 2×2 802.11ac wireless. Quickly launch apps, support fast web browsing, efficiently manage battery power and get up to a 26% performance improvement with the latest multi-core 7th Gen Intel processors, 4GB memory and 16GB eMMc storage.